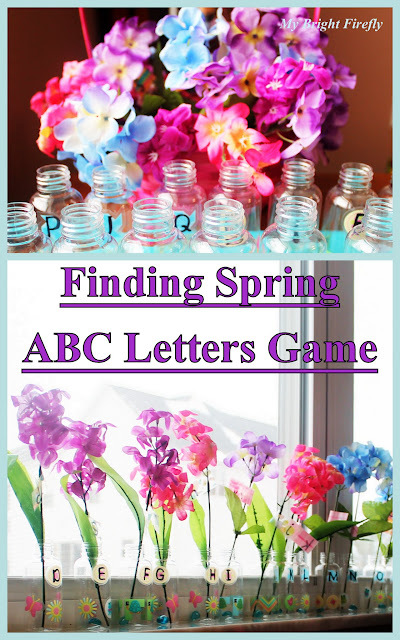 Doc McStuffins themed Easter basket, colorful and smooth mess free sidewalk chalk, Pley gift card, the new favorite Easter book, and a cute Easter basket made together with love or personalized - these fun Easter Basket ideas are our favorite! We made a trip to the dollar store, found some free printables, and laminated cute Lambie's hugs cards to add to our pretend play doctor's tools and supplies. That made this little Doc McStuffins happy: Doc McStuffins Doctor's Play Kit Easter Basket Stuffers from My Bright Firefly. Only 3 ingredients are needed to make your own cute and lovable sidewalk chalk. These little chalks are smooth and mess free! Beautiful Chalk Hearts kids will love from Teaching Mama. 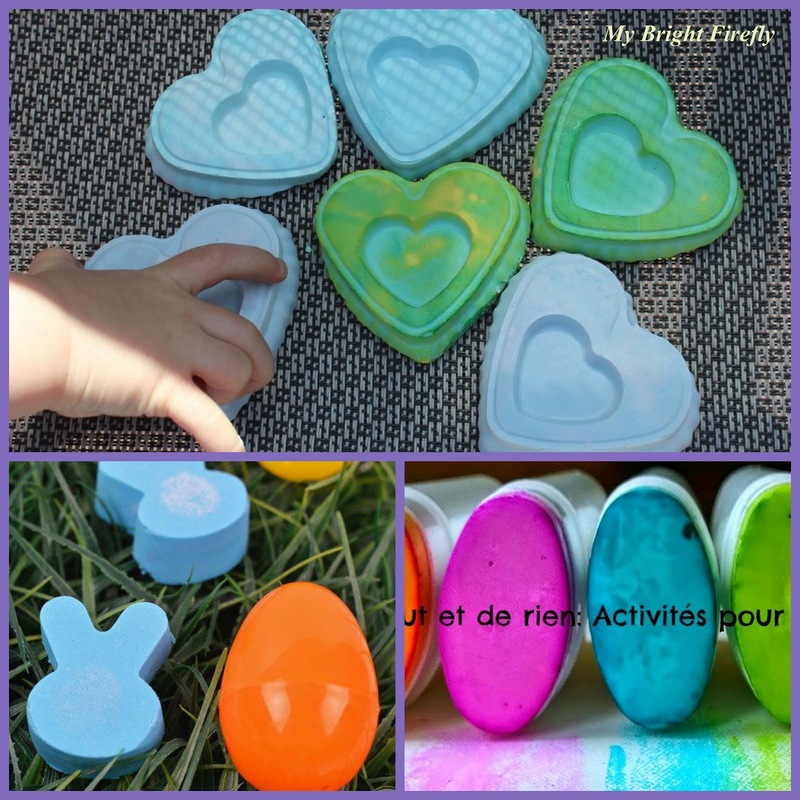 Easter Bunny Chalk Melts are so fun and engaging from Kids Activities Blog. Colorful and Smooth Sidewalk Chalk from De Tout et de Rien. Kids will love the extra feature of the retractable chalk made in recycled deodorant containers. Pley is always on the hunt for the best toys, so their assortment reflects the latest and greatest toys. Their biggest collection is building toys. They have 400+ Lego sets! 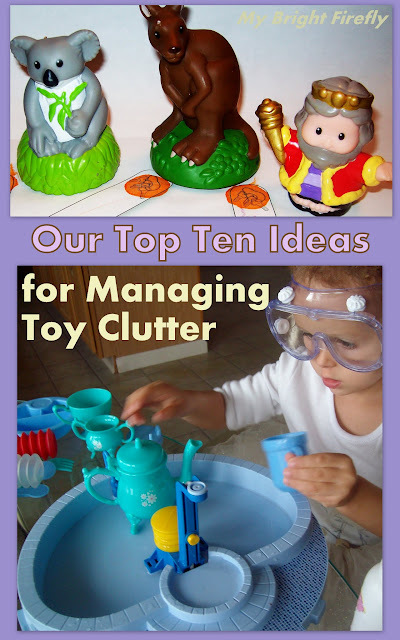 I love the idea behind this service: "The coolest toys without the mess or expense". Oh, yes, those Legos are expensive; and My Firefly loves opening up a new play set. 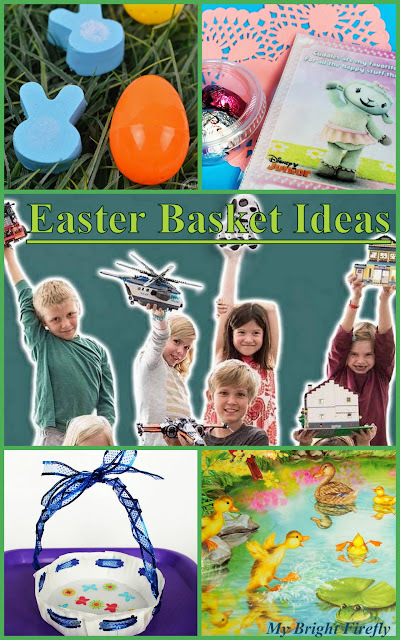 That's why Pley made it to our Top 5 Easter Basket Stuffers ideas. They offer a gift card option: "the perfect gift that keeps on giving". Currently, Pley is running I Love My School contest. 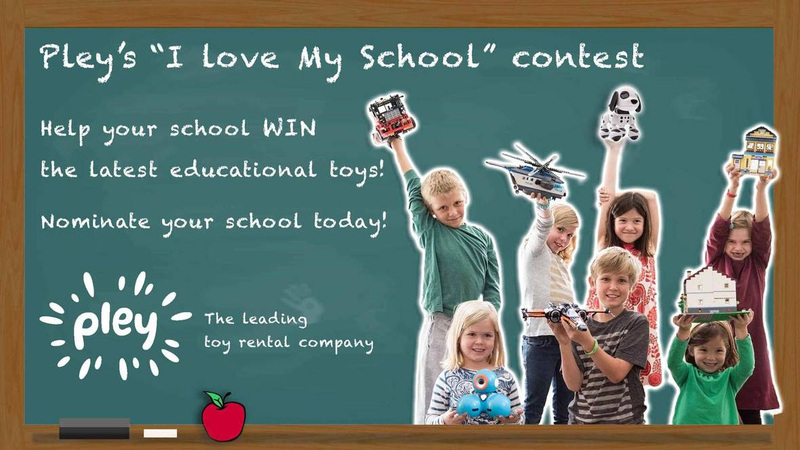 Nominate your school by telling them why you love your school. The elementary school with the most number of nominations will be announced as the winner and will receive $500 worth of fun educational toys. Nominate your school on Facebook today: https://apps.facebook.com/my-contests/form/your-chance-to-win-500-for-your-school. The deadline for entry is March 25, 2016. 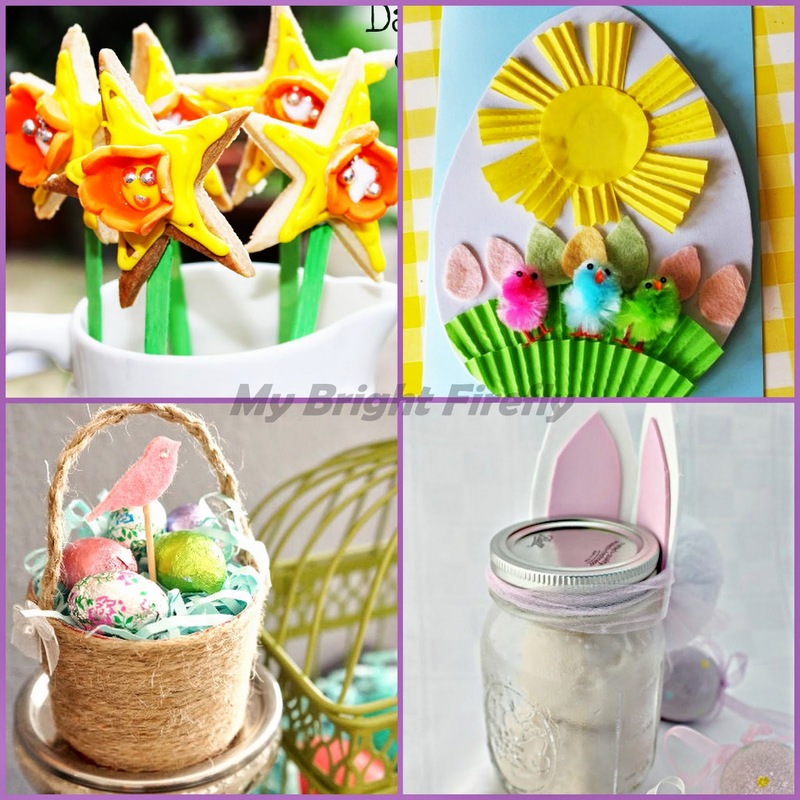 This collection of playful basket ideas - arts and crafts made by kids or for kids - show and share all the love with them!